Fun for kids and just their size! 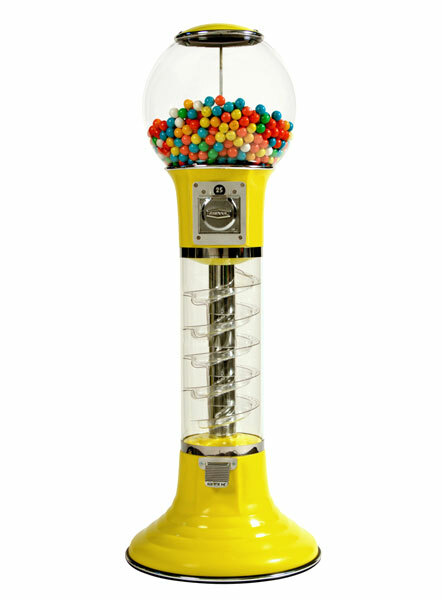 Great 4 foot (1.22 m) model machine has a track that allows gumballs to go round and round and come out of the covered dispensing chute that holds the gumball at the bottom. Comparison photo shows the 4-ft. Whirler side-by-side the 5-ft. model. 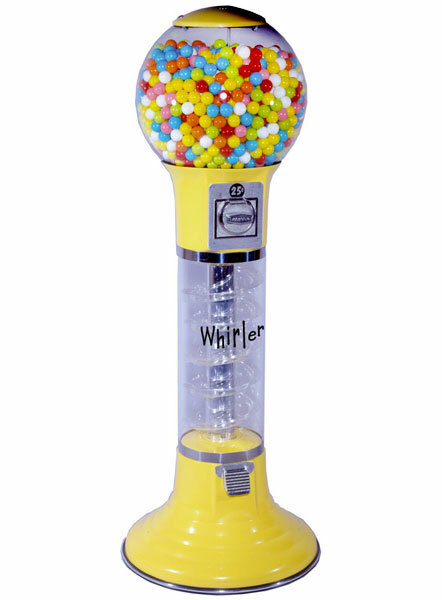 The Candy Whirler is basically the same machine, only it is especially made so that the candy would roll down the track easily. Made in USA. Replacement parts easily available. Lifetime Warranty on Beaver coin mechanism against manufacturer defects under normal working conditions and ordinary wear and tear. 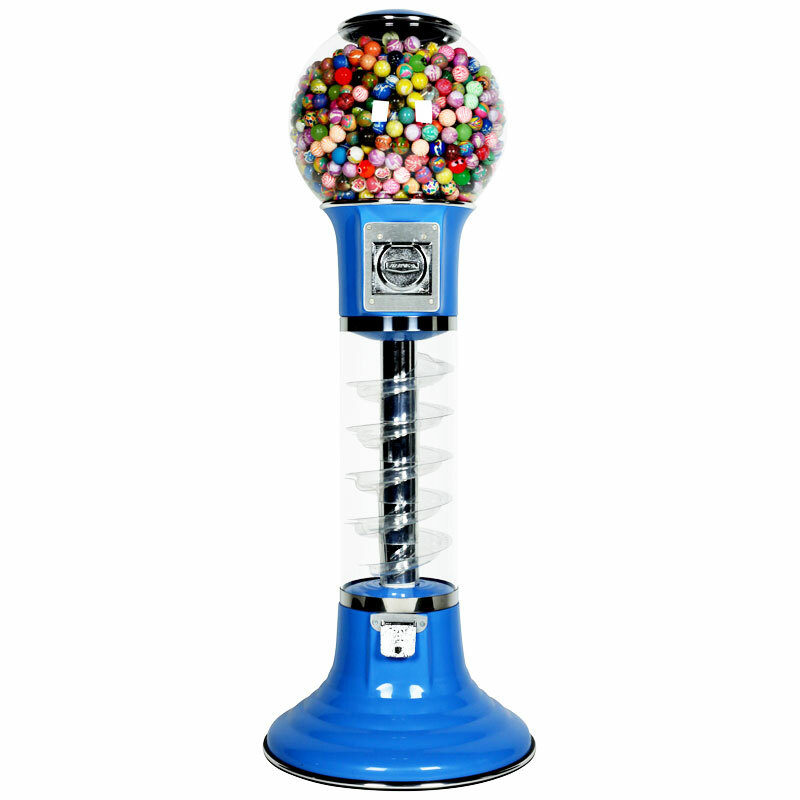 Vends 850 count or 1080 count gumballs. 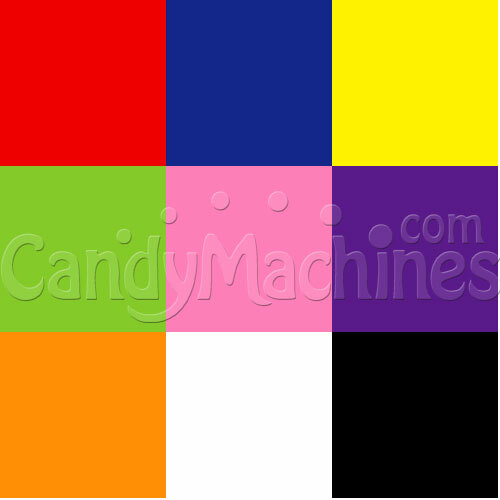 Optional wheels available to vend 22-23mm (1430 count) or 30mm & 32mm (600 & 700 count) products at no additional charge. 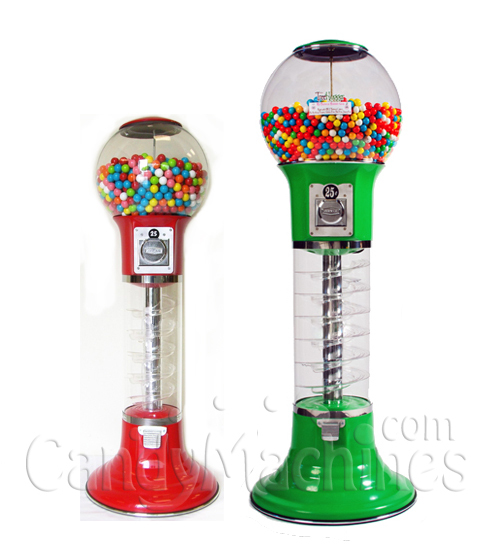 My first gumball machine, very well built, got one from an out of business sale and with the variety of 1 inch gumballs these days, its a good addition to the office waiting room. 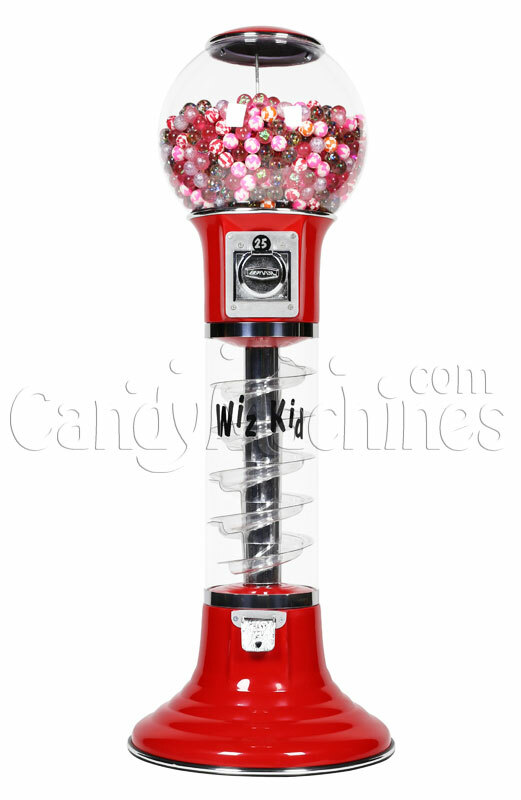 I bought one of these for my gas station and it has made a great addition to my slot machines.